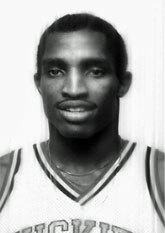 Drafted: Selected by the Boston Celtics in the third round (69th pick overall) of 1982 NBA Draft. Where are you now Perry? A top scorer and All-American player who put Northeastern and coach Jim Calhoun on the map due to his hitting key shots in big games. Became an underrated NBA guard during the late '80s on the Philadelphia Sixers and the Golden State Warriors. Great defender who was very strong for his size. Superb dunker with a 42-inch vertical leap in his prime.